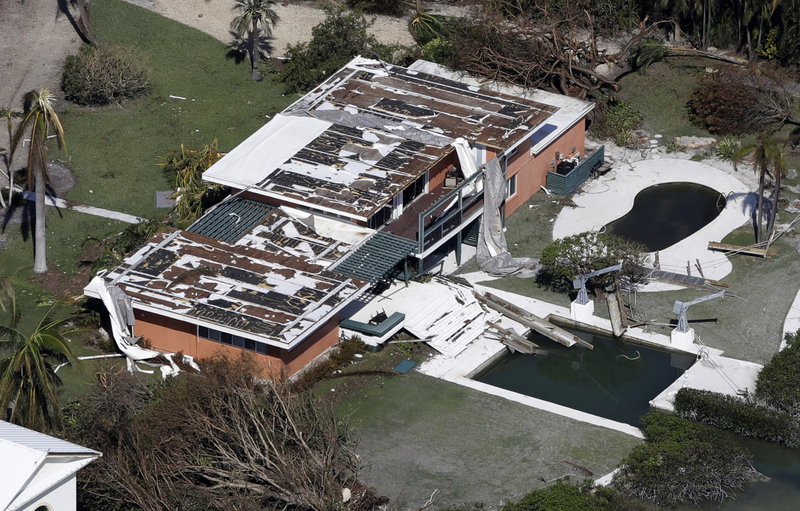 Almost half of Florida's population is without electricity, and people are getting testy in some of the hardest-hit areas. 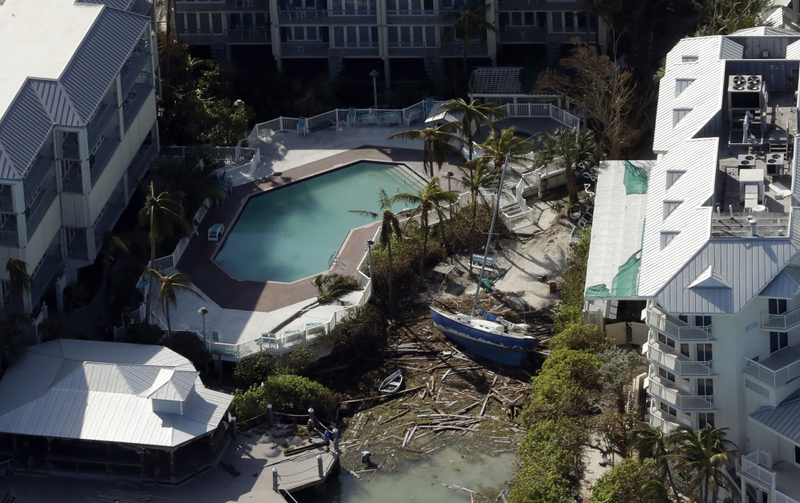 LOWER MATECUMBE KEY, Fla. – With 25 percent of the homes in the Florida Keys feared destroyed, emergency workers Tuesday rushed to find Hurricane Irma’s victims – dead or alive – and deliver food and water to the stricken island chain. 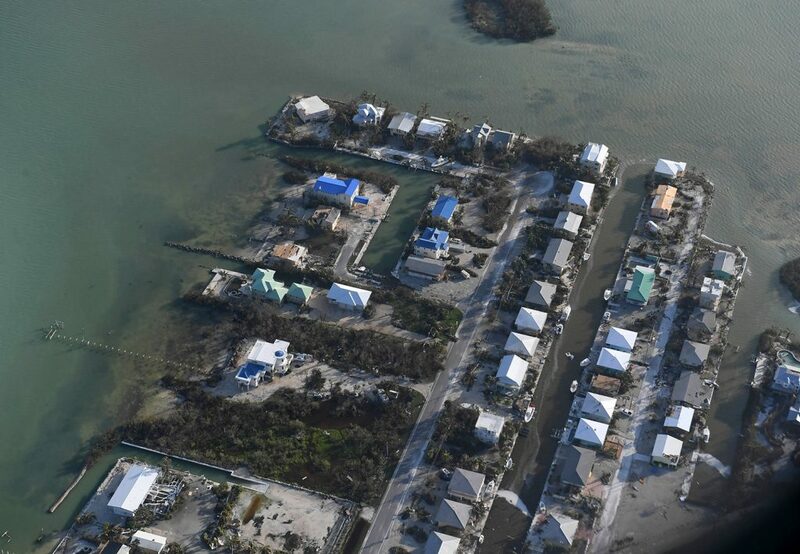 As crews labored to repair the lone highway connecting the Keys, residents of some of the islands closest to Florida’s mainland were allowed to return and get their first look at the devastation. 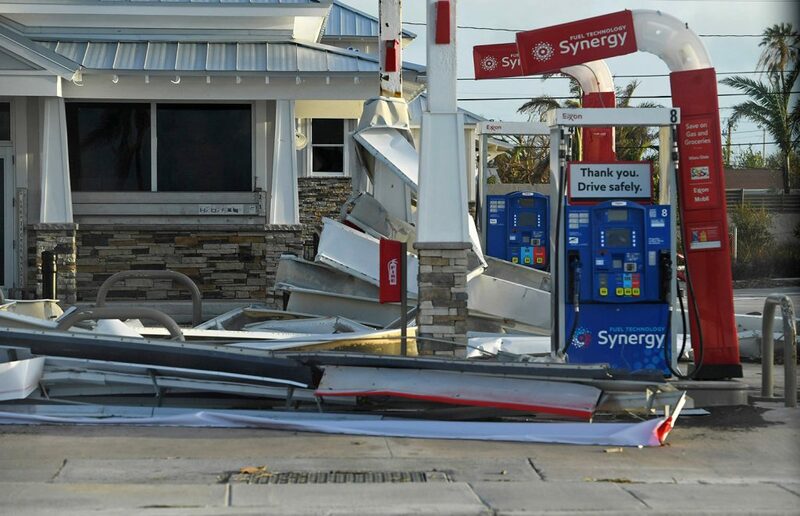 But because of disrupted phone service and other damage, the extent of the destruction was still a question mark, more than two full days after Irma roared into the Keys with 130 mph winds. Elsewhere in Florida, life inched closer to normal, with some flights again taking off, many curfews lifted and major theme parks reopening. Cruise ships that extended their voyages and rode out the storm at sea began returning to port with thousands of passengers. The number of people without electricity in the steamy late-summer heat dropped to 9.5 million – just under half of Florida’s population. Utility officials warned it could take 10 days or more for power to be fully restored. About 110,000 people remained in shelters across Florida. The number of deaths blamed on Irma in Florida climbed to 12, in addition to four in South Carolina and two in Georgia. At least 37 people were killed in the Caribbean. 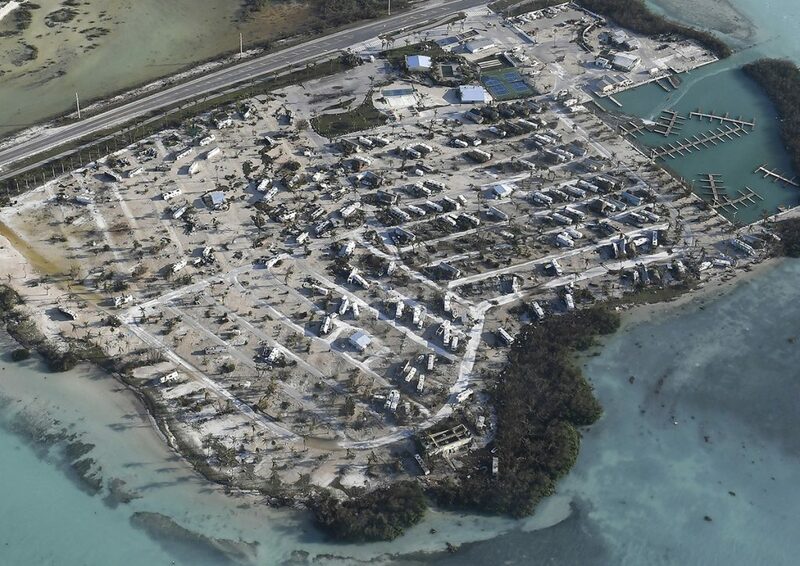 These satellite images show the before and after of several communities hit by Hurricane Irma. In hard-hit Naples, on Florida’s southwest coast, more than 300 people stood outside a Publix grocery store in the morning, waiting for it to open. A manager came to the store’s sliding door with occasional progress reports. Once he said workers were throwing out produce that had gone bad, another time that they were trying to get the cash registers working. One man complained loudly that the line had too many gaps. Others shook their heads in frustration at word of another delay. At the front of the line after a more than two-hour wait, Phill Chirchirillo, 57, said days without electricity and other basics were beginning to wear on people. Irma’s rainy remnants, meanwhile, pushed through Alabama and Mississippi after drenching Georgia. Flash-flood watches and warnings were issued around the Southeast. 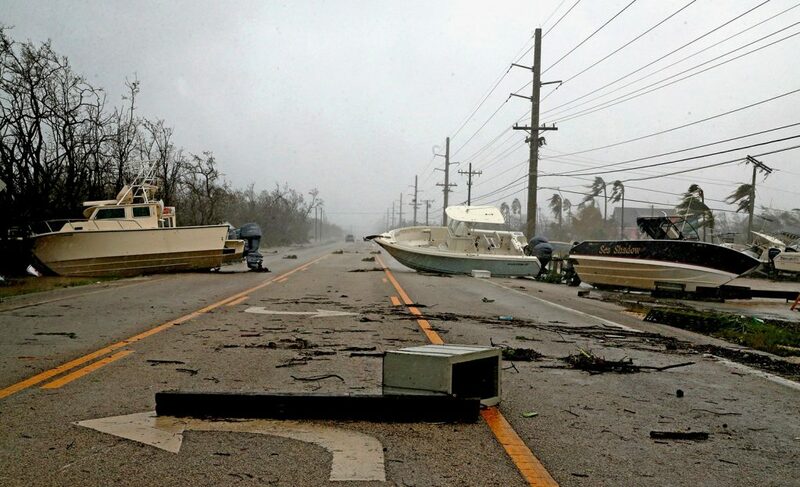 While nearly all of Florida was engulfed by the 400-mile-wide storm, the Keys – home to about 70,000 people – appeared to be the hardest hit. Drinking water and power were cut off, all three of the islands’ hospitals were closed, and the supply of gasoline was extremely limited. A Navy ship arrives with a precious commodity: fresh water. Monroe County began setting up shelters and food-and-water distribution points for Irma’s victims in the Keys. 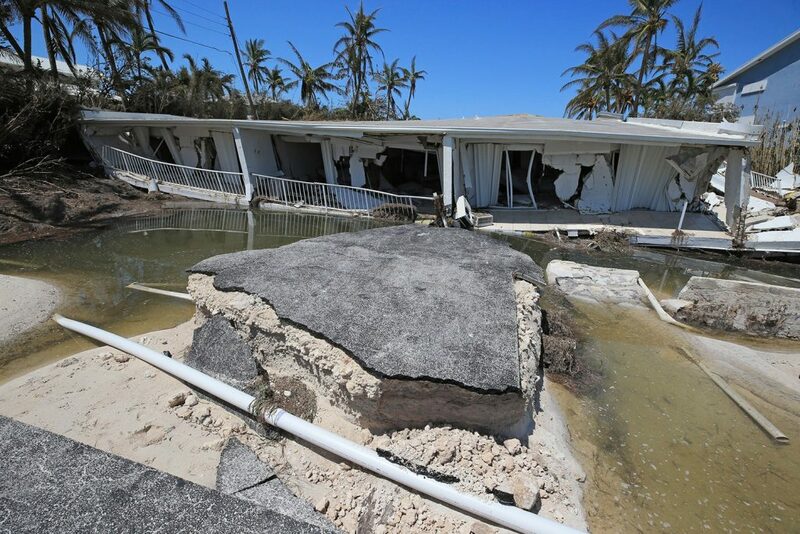 Crews also worked to repair two washed-out, 300-foot sections of U.S. 1, the highway that runs through the Keys, and check the safety of the 42 bridges linking the islands. 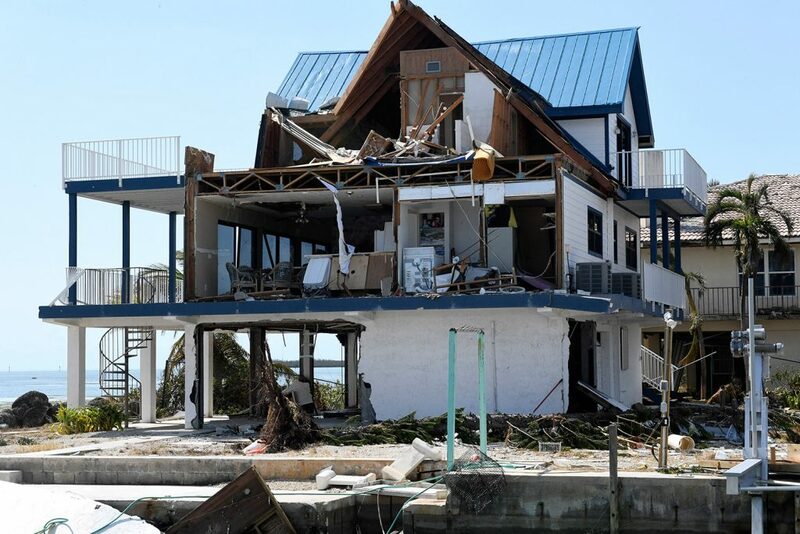 Federal Emergency Management Agency administrator Brock Long said that preliminary estimates suggested that 25 percent of the homes in the Keys were destroyed and 65 percent sustained major damage. 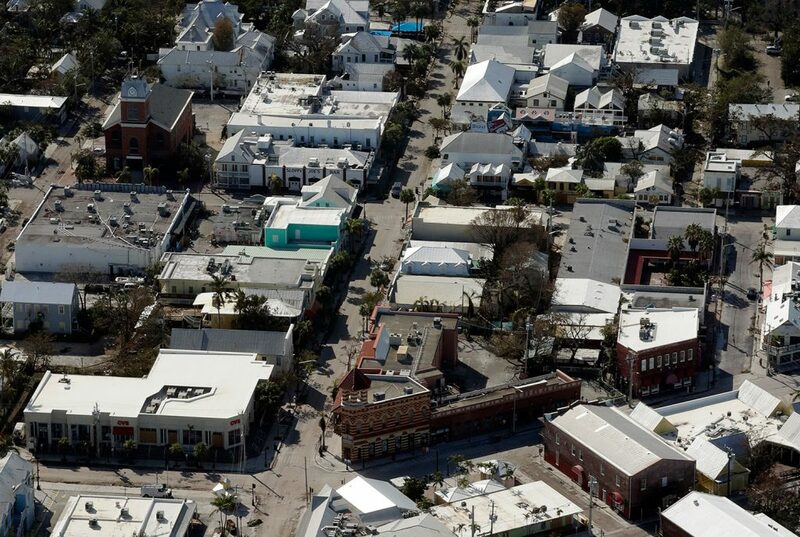 “Basically every house in the Keys was impacted,” he said. 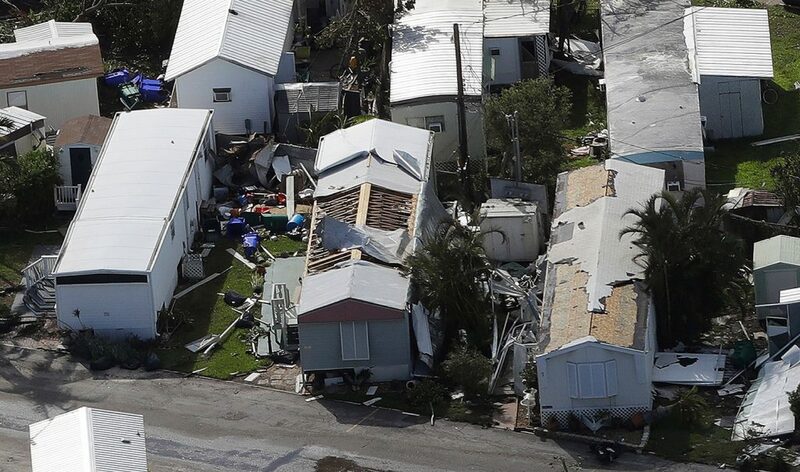 In Islamorada, a trailer park was devastated, the homes ripped apart as if by a giant claw. 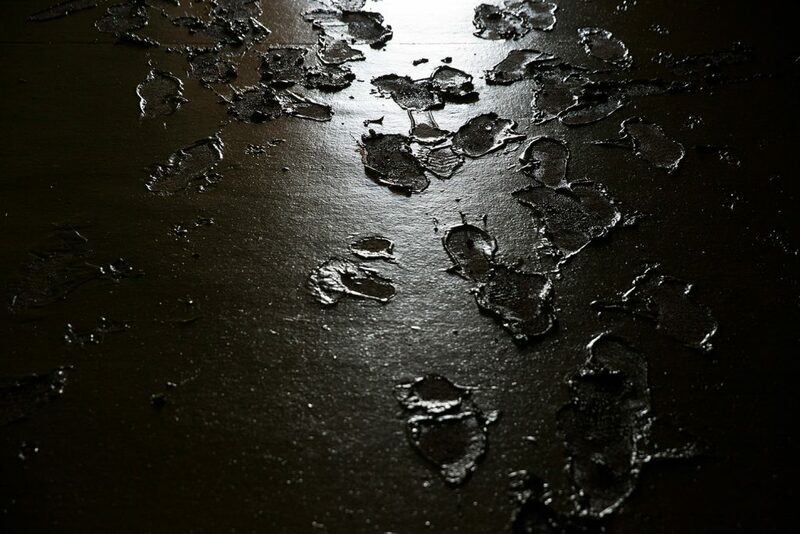 A sewage-like stench hung over the place. 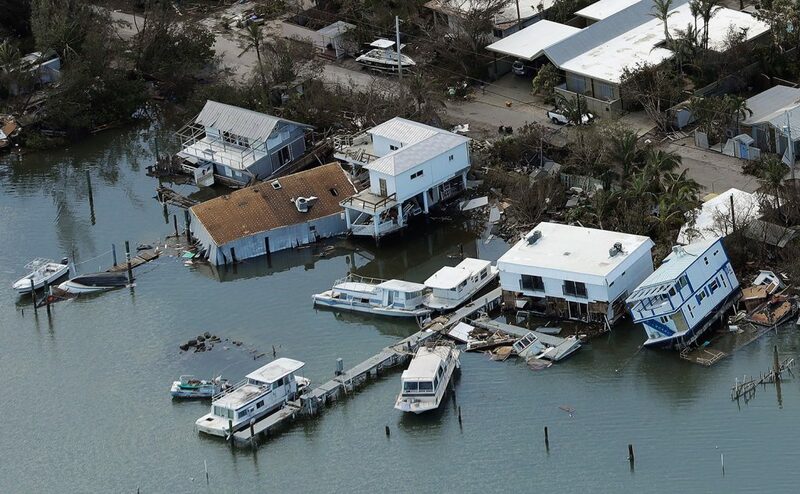 Debris was scattered everywhere, including refrigerators, washers and dryers, a 25-foot fishing boat and a Jacuzzi. Homes were torn open to give a glimpse of their contents, including a bedroom with a small Christmas tree decorated with starfish. One man and his family came to check on a weekend home and found it destroyed. The sight was too much to bear. The man told his family to get back in the car, and they drove off toward Miami. In Key Largo, Lisa Storey and her husband said they had yet to be contacted by the power company or by city, county or state officials. As she spoke to a reporter, a helicopter passed overhead. “That’s a beautiful sound, a rescue sound,” she said. 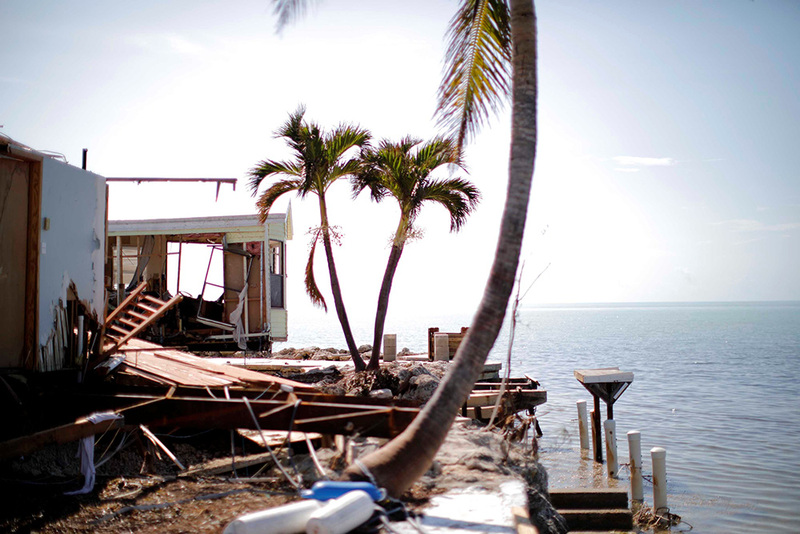 Authorities stopped people and checked for documentation such as proof of residency or business ownership before allowing them back into the Upper Keys, including Key Largo, Tavernier and Islamorada. 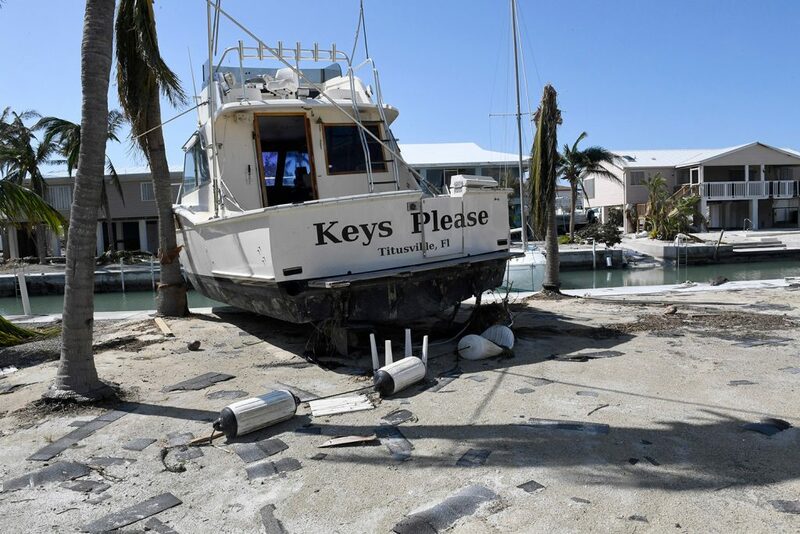 The Lower Keys – including the chain’s most distant and most populous island, Key West, with 27,000 people – were still off-limits, with a roadblock in place where the highway was washed out. 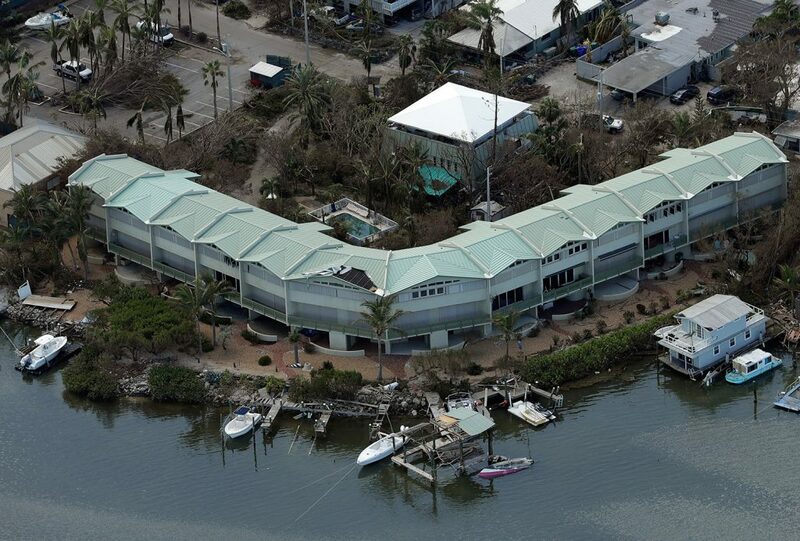 In Lower Matecumbe Key, just south of Islamorada, 57-year-old Donald Garner checked on his houseboat, which had only minor damage. Nearby, three other houseboats were partially sunk. Garner had tied his to mangroves. “That’s the only way to make it,” said Garner, who works for a shrimp company. 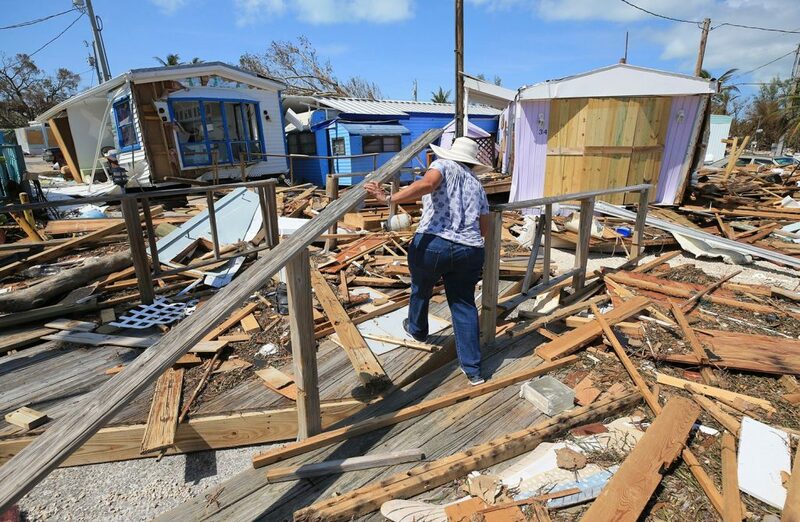 While the Keys are studded with mansions and beachfront resorts, about 13 percent of the people live in poverty and could face big obstacles as the cleanup begins. “People who bag your groceries when you’re on vacation, the bus drivers, hotel cleaners, cooks and dishwashers, they’re already living beyond paycheck to paycheck,” said Stephanie Kaple, who runs an organization that helps the homeless in the Keys. 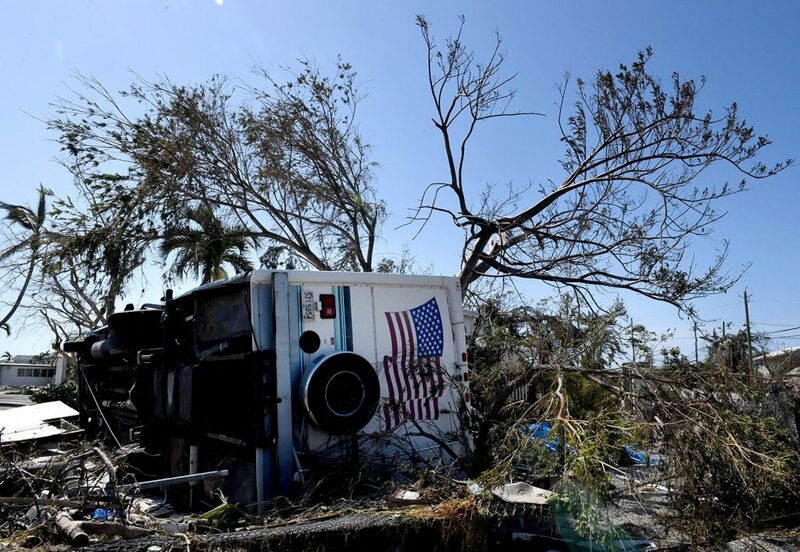 Corey Smith, a UPS driver who rode out the hurricane in Key Largo, said it was a relief that many buildings on the island escaped major damage. But he said conditions were still not good, with branches blocking roads and supermarkets closed. Mendoza reported from Atlanta. Associated Press writers Terry Spencer in Palm Beach County; Gary Fineout and Joe Reedy in Tallahassee; Jay Reeves in Immokalee; Terrance Harris in Orlando; Claire Galofaro in Jacksonville; and Freida Frisaro, Jennifer Kay, Curt Anderson and David Fischer in Miami contributed to this report.